This sculpture is approximately 12 tall. She is a Very Stunning and her face is beautiful with pleasing expression. She is nice to hold and the detail and color is amazing. 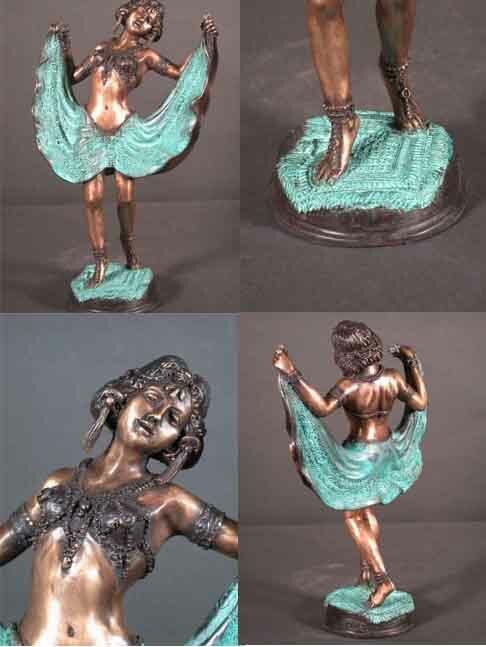 This solid bronze piece is very graceful and a pleasure to view. Original Signed by RON.